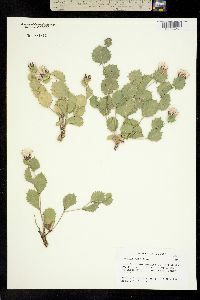 Plants 2.5-30 cm, (divaricately branching). 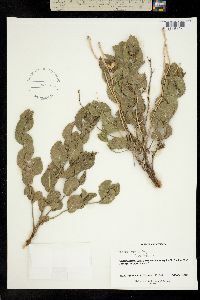 Leaves cauline; sessile; blades rhombic-orbiculate to suborbiculate, 10-50 mm, bases cuneate, margins coarsely and irregularly prickly-dentate, faces glabrous (reticulate). Heads borne singly (at branch tips). 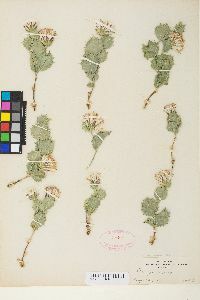 Involucres campanulate, 14-17 mm. 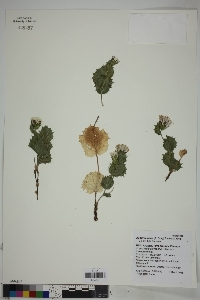 Phyllaries in 4 series, broadly ovate, margins glandular, apices acute to mucronate, abaxial faces glabrous. Receptacles reticulate (sockets separated by squarish, apically pubescent paleae 1 mm). Florets 15-24; corollas lavender-pink or white, 10-17 mm. Cypselae subcylindric, 3-7.5 mm, densely stipitate-glandular; pappi white or tawny, 10-15 mm. 2n = 54. 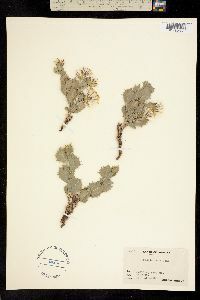 Flowering (Mar-)Apr(-Jun). Gravel, sandstone, silty, or caliche soils in desert scrub; 0-1800 m; Ariz., N.Mex., Tex. ; Mexico (Chihuahua, Coahuila, Nuevo León, San Luis Potosí, Sonora, Zacatecas). 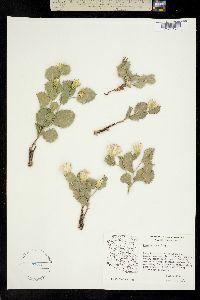 Acourtia nana grows primarily in the trans-Pecos and western Edwards Plateau.